According to *Tradearabia news report, Bayut, a leading real estate portal in the UAE, has acquired Middle East Internet Group’s Lamudi in the GCC for an undisclosed sum. As part of this landmark deal, Bayut will take ownership of all Lamudi assets in the GCC, including its portals in Saudi Arabia, Jordan, and the UAE. 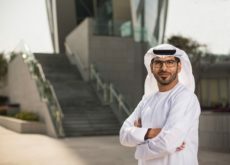 This strategic acquisition comes at the heels of the recently closed $100 million in Series D funding of Emerging Markets Property Group (EMPG), the parent company of Bayut, which said it aims to aggressively grow and establish itself as the most dominant real estate classifieds solution in the GCC. The group currently employs a workforce of over 2,000 people across the UAE, Morocco, Pakistan, Bangladesh, Spain and Romania. The Group’s portals receive over 9.5 million visits yielding 68 million page views and generating over two million enquiries per month. Middle East Internet Group, a Rocket Internet Company, has previously launched various successful e-commerce ventures in the region including Wadi. It launched Lamudi.saas the first real estate portal in Saudi Arabia in 2012, followed by Lamudi.jo in Jordan, which has a very strong presence in the Jordanian market. In 2015, Lamudi.ae was launched in the UAE. Bayut will take over all three assets as part of this deal. 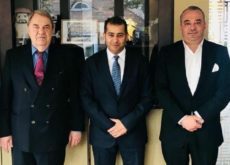 The acquisition of Lamudi Middle East provides the ideal platform for Bayut to expand its footprint in the GCC region. “Bayut has always focused on providing the most locally-tuned solution to the market and the intention behind this acquisition is to take that philosophy to the greater GCC region, with a focus on Saudi Arabia,” said Haider Ali Khan, CEO of Bayut, adding that he looks forward to launching the Saudi operations very soon and making Bayut a household name in the GCC’s largest country. “Today is a very exciting day for us as we embark on a new journey to start solving real estate issues for the largest market in our region. Our extensive experience in similar markets puts us in a unique position to provide both clients and end-users with a highly sophisticated product that is built to address their needs. We aim to be a partner to them in their journey of selling or buying a home,” said Khan. “With a network of sites operating in the region, we are also very well placed to maximise consumers’ reach and clients’ exposure across a broader region. Our brand name, Bayut, means homes in Arabic and our story is a very local one, and this is another step in making our brand a household name in the natively Arabic-speaking region. With our experience and ability to deploy significant capital effectively, we are very well placed to solve problems in the real estate markets of the region through technology,” he added.